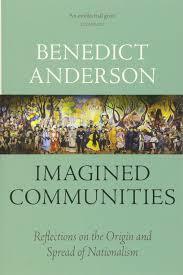 I read Benedict Anderson’s Imagined Communities: Reflections on the origins and spread of Nationalism because other people read it. This is a book that is routinely alluded to in discussions by pundits of various stripes. On the back of the 2006 edition, the publisher notes that over 250,000 copies have been printed of this short academic work. Time put this as 48th out of 100 all-time great nonfiction books. It’s one of the most assigned works to undergraduates at universities. This is pretty typical throughout the book. I’m really skeptical of this strong assertion that medieval Christians didn’t understand cause and effect, and the past or present, considering that they periodically went through millenarian enthusiasms about the End of the World. But perhaps I misunderstand Anderson? It wouldn’t surprise me. He’s just not that clear a lot of the time. About ten years ago Jonathan Gottschall observed that often in literary scholarship all their “experiments” confirm their theories. Imagined Communities follows this model. I’m very confused why pundits with backgrounds in political science are citing a work which is basically a long analysis of literature, with some historical references thrown in. Though there are numbers in the book, there are no graphs or tables. This is a work of literary scholarship. I understood what the author meant by “elephantiasis.” But that’s a really unnecessary word. If it was the exception, I’d shrug it off. But this reliance on overly obscure terminology is pretty common in this book, and again, it makes me wonder what undergrads are getting out of it. Not to brag, but I have a pretty big vocabulary, and the lexical flourishes were obscuring the point of whole passages. If that’s how I feel, what about someone with a smaller vocabulary? 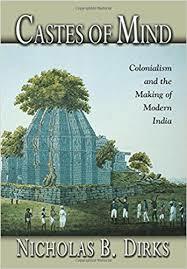 Probably the most intellectually creative thing about Imagined Communities is that the author begins by examining the emergence of nation-states in Latin America, and the role of white Creole communities in the rebellion against the Spaniards. Anderson contends that this model influenced Europeans. The United States as well showed much of Europe that a large continental republic could actually flourish. From here Imagined Communities digs deeply into the various intricate details of how the Empire of the Romanovs began to assert a more clear Russian identity, or the nationalities trapped into the Habsburg polity. Much of this material is interesting and has clearly percolated to other areas of scholarship, as I was familiar with it. Again, the author has a tendency toward abstruse phraseology or obscure word choices, but the portion on Europe was relatively coherent and familiar, though there was a strong bias to present nationalism as novel and new, rather than primordial. But when the story moves to Asia it lost me. This is strange insofar as Anderson has a background in Asian scholarship, with a focus on Indonesia. He devotes a fair amount of time to Southeast Asia for these reason. And perhaps it wasn’t intended, but Imagined Communities depicts the emergence of Southeast Asian nation-states as an outcome of the agency of Europeans. The British created Burma. The French created Vietnam (Anderson makes much of the name changes that “Vietnam” has undergone over the past few centuries). China was a diverse motley of dialects before being dragged into the modern world by European-influenced intellectuals. Japan was given form with the Meiji revolution. Thailand created itself due to its engagement with colonial powers. Indonesia was stitched together by the Dutch. Non-Europeans have no agency or originality in creating their own national identities. They were blank slates upon which European colonials drew something. Luckily for me, I don’t come into reading Imagined Communities totally ignorant of other viewpoints. 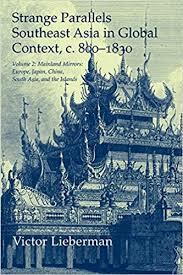 I’ve read Victor Lieberman’s Strange Parallels, which makes the case that mainland Southeast Asia resembled Europe in the coalescence of distinct proto-national identities one to two thousand years ago. The same is true to the north. China was arguably a nation-empire long before Europeans arrived. Though the Chinese peasantry spoke different dialects, it was united by a ruling class with a sense of coherency. The modern Japanese nation-state state is modeled on Western nation-states, in particular, Prussia. It strikes as bizarre to hold that this unique and isolated nation didn’t exist in the imagination of Japanese when the Europeans first arrived. Anderson, like many scholars of his ilk, gets carried away with the novelty and power of European rationalism. For example, he focuses on European censuses with the clear implication that they somehow created many ethnicities. Not to sidetrack, but modern genetics shows that this is just false. It’s false in India. It’s false in Southeast Asia. It’s probably false more or less everywhere. Western science and the bureaucratic machinery of the Western nation-state, were novel and revolutionary. 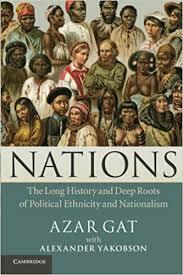 But peoples existed with a self-identity long before Europeans arrived. To be honest I found Anderson’s treatment of the Vietnamese almost insulting. The first edition of Imagined Communities was written in the early 1980s, and the work is pervaded by Cold War concerns. Though Vietnam has been a catspaw in the game of great power, the fact that they began adjuncts to, but did not become absorbed into, the Chinese system highlights that their national identity in some inchoate way is very old. 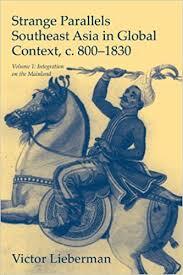 Overall it is worth reading Imagined Communities because of its purported cultural significance. But much of it is so garbled and unclear I’m not sure what people are taking from it, aside from the proposition that the modern nation-state was invented in the last few centuries due to modernity. In the end the book is kind of a long tautology.